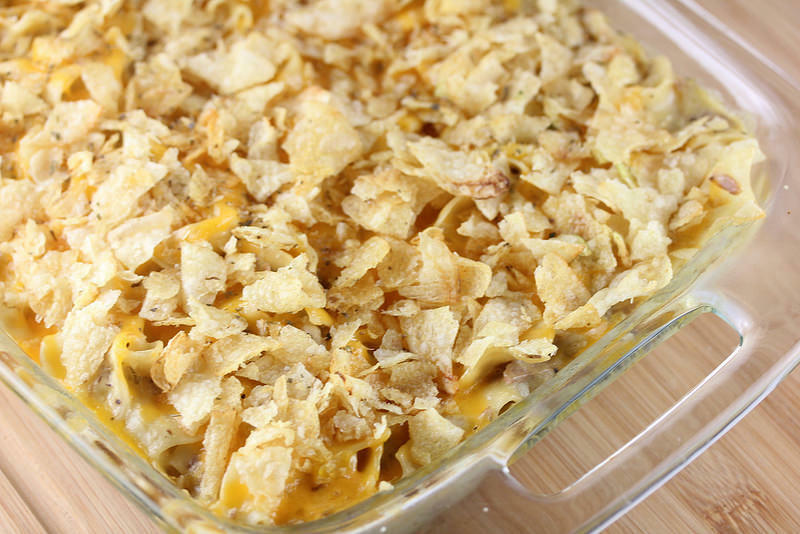 This tuna casserole is one of my family’s favorite dishes. It is quick to throw together and inexpensive to make, so it also makes a great dish if you are expecting a crowd. Most of the ingredients are ready to be mixed together and easily transferred into a casserole dish for a quick cook time. This recipe is very creamy and soft—and adding the potato chips gives it the perfect amount of crunch. From Cully’s Kitchen to yours! Preheat the oven to 375 degrees F. In a large bowl, mix both cans of Cream of Chicken soup, mayonnaise, and milk. Add diced onion and celery and stir, then fold in the can of drained tuna fish, cooked egg noodles, and ¼ cup of shredded cheddar cheese. Add salt and pepper to taste. Pour contents into a 9×13 inch baking dish and place in the oven and cook for 30 minutes. 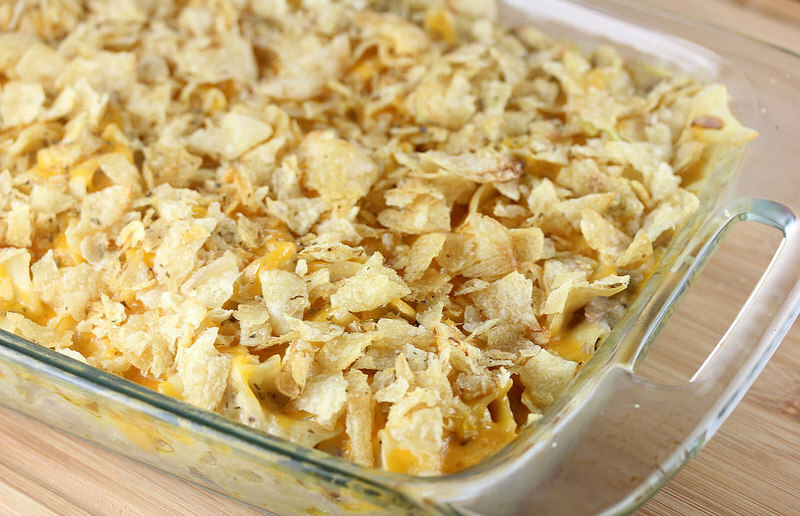 Remove casserole and add remaining shredded cheddar cheese and the crushed potato chips as the final layer. Put back into the over for the remaining 10 minutes (or until cheese has melted).